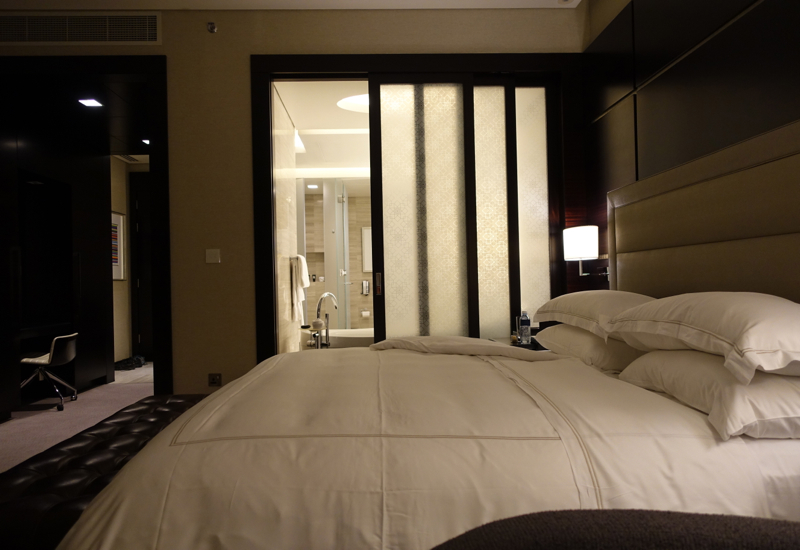 My son and I had to overnight in Abu Dhabi between our Etihad First Class flight into Abu Dhabi, and our flight the following day from Abu Dhabi to the Maldives. 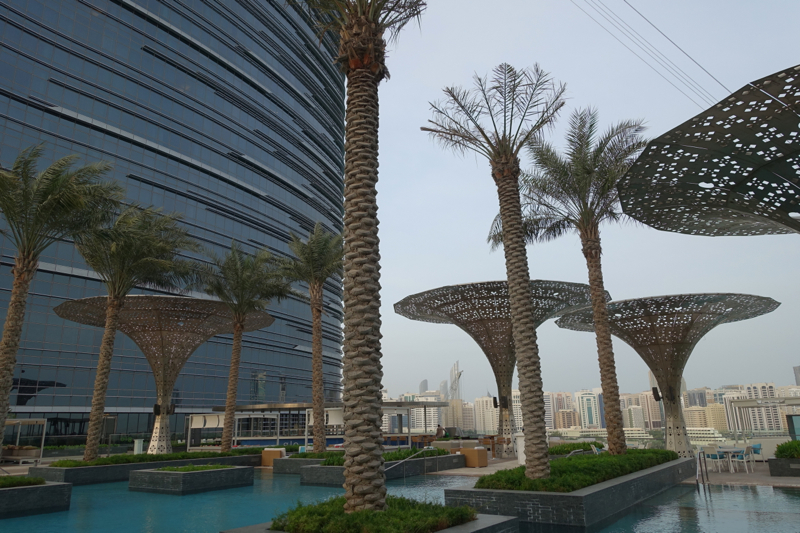 Although the Yas Viceroy is close to the airport, we decided to book the Rosewood Abu Dhabi instead, since we'd enjoyed our stay at the Rosewood London so much last year. 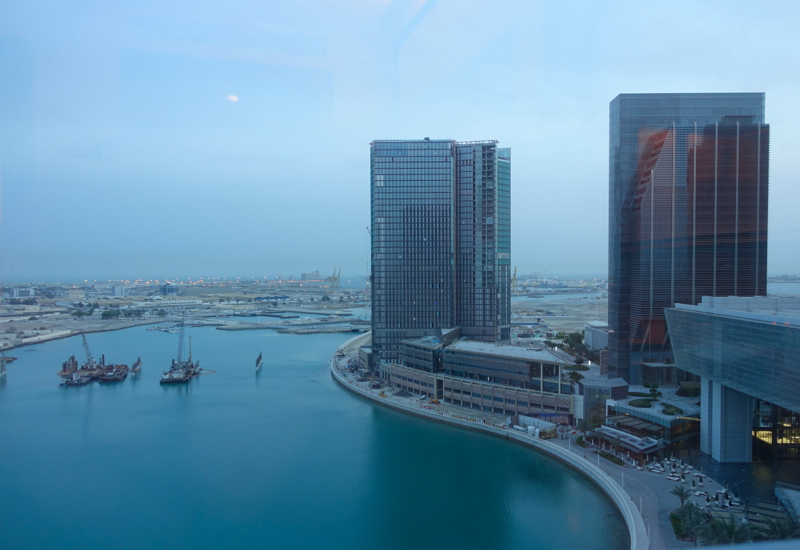 The Rosewood Abu Dhabi is located on Al Maryah Island, close to Al Reem Island and downtown Abu Dhabi, and about 30 minutes from Abu Dhabi Airport. We made particularly good time on our drive there, since it was evening and there was next to no traffic. 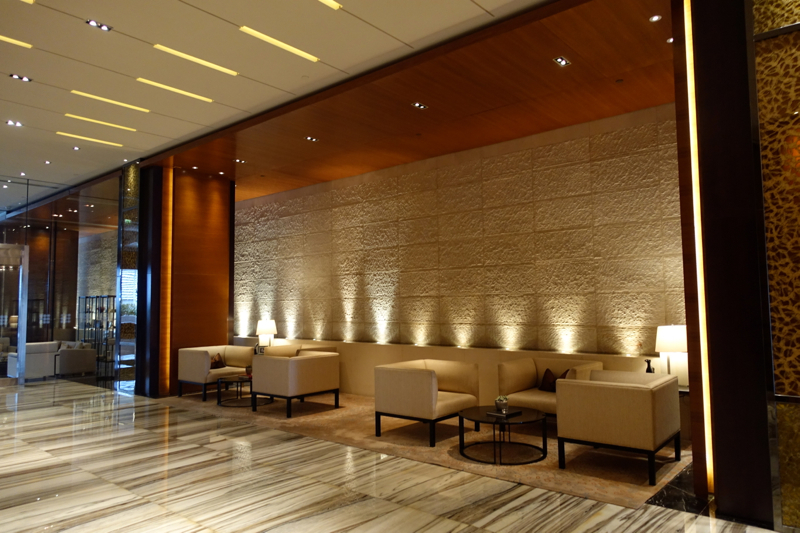 The Rosewood Abu Dhabi lobby is spacious, with more gold and crystal accents (as you might expect in the Middle East) than the more understated Rosewood London. Still, it's tastefully done; more tasteful, say, than Emirates First Class. 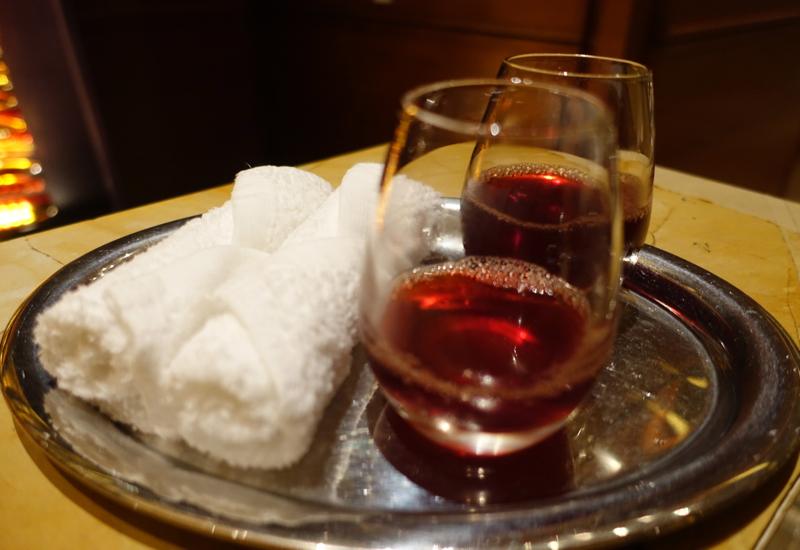 We were welcomed with refreshing towels and delicious welcome drinks, which included hibiscus juice and date juice, before being personally escorted to our Deluxe Room and shown all the room features. Deluxe Rooms are 506 square feet, and feature 1 King bed, with an arm chair to the left of the bed by the window, as well as a work desk and chair. 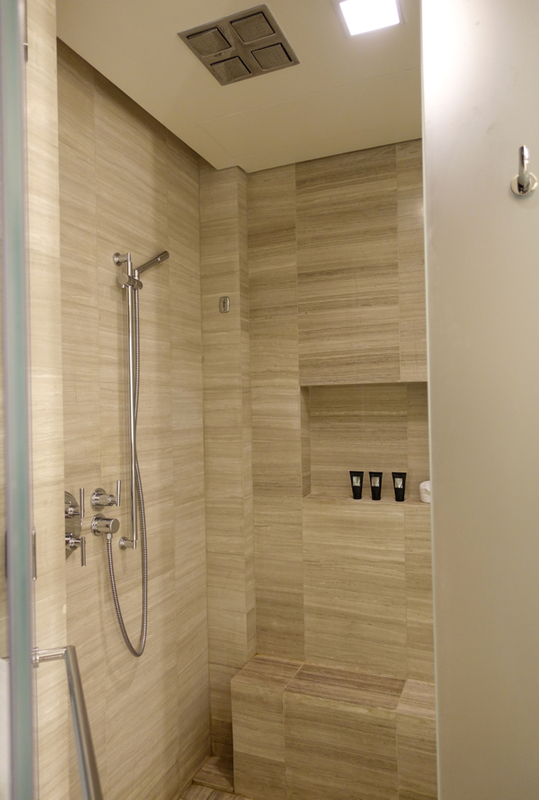 The bathroom was modern and spacious as well, with twin vanities, separate toilet and bidet, and rain shower. 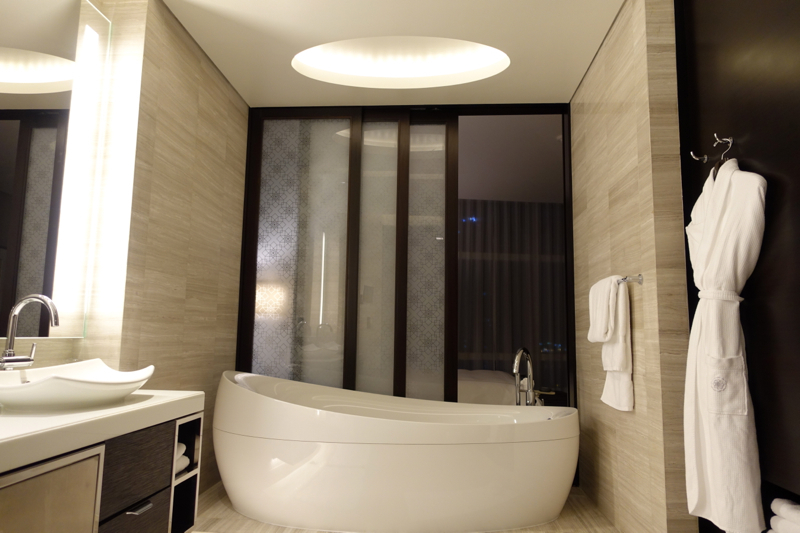 Although our short overnight stay meant I didn't get a chance to use it, there was also a nice oversize bathtub. The only thing I didn't like was that there wasn't a solid wall between the bathroom and the room, only a sliding glass partition. 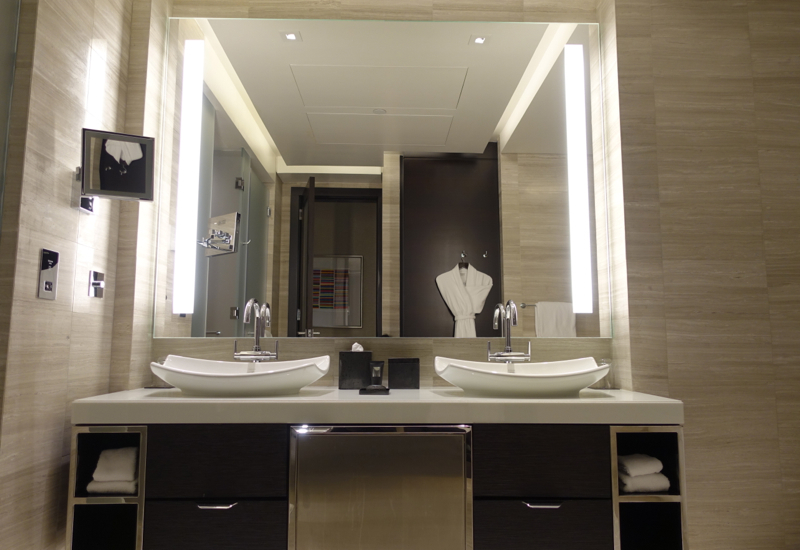 This to me is always a poor design choice, no matter how cool it can look to “open up” the bathroom to the bedroom, because if you turn on the bathroom light during the night, you're likely to disturb your partner. 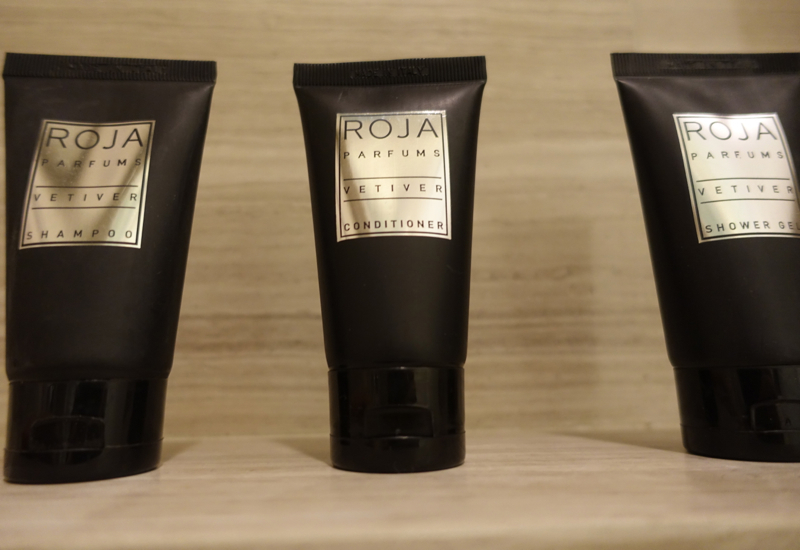 I hadn't heard of the Roja Parfums Vetiver bath products before, but apparently Roja Dove is a world renown perfumer, and his Vetiver Extrait line has primary notes of bergamot and lemon, with additional notes of jasmine, pink pepper and nutmeg. 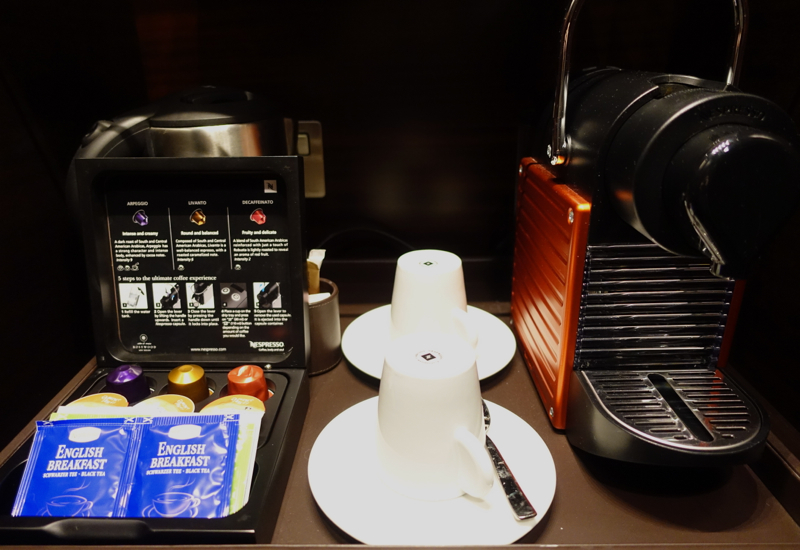 Scent was fine, although as with most hotel toiletries, I wasn't keen on the sodium laureth sulfate used. 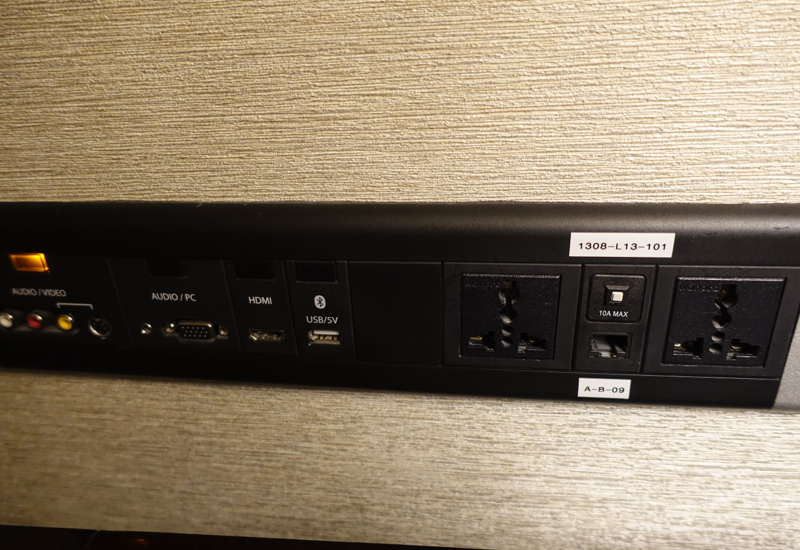 And as at the Rosewood London, there were universal outlets so that anyone could charge their electronic devices–no need for a plug adapter, something I personally always appreciate since it's often one of the things I forget to pack, relying instead on adapters in the hotels I stay in. I also appreciated the convenience of a Master on/off light switch, and a “Do Not Disturb” button that is illuminated outside the room, to ensure no housekeeping disturbances when you're trying to sleep. 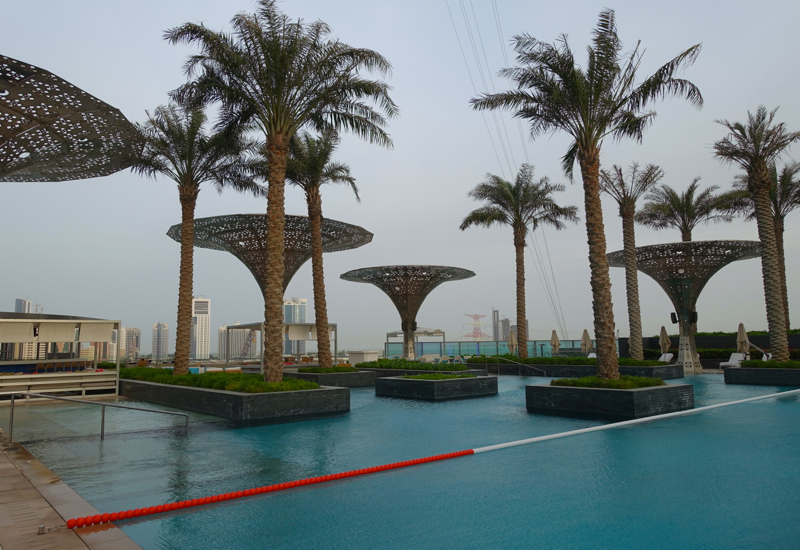 In the morning, before leaving for the airport, we walked outside to the pool, which is on the 3rd floor. One lane is sectioned off for lap swimming, with the rest of it left free form. The large pool is heated in the winter and cooled in the summer, and is a great central feature, with a sea view. In addition to sunbeds, there are also several cabanas by the pool, and a bar, although of course at 7am in the morning this wasn't open. 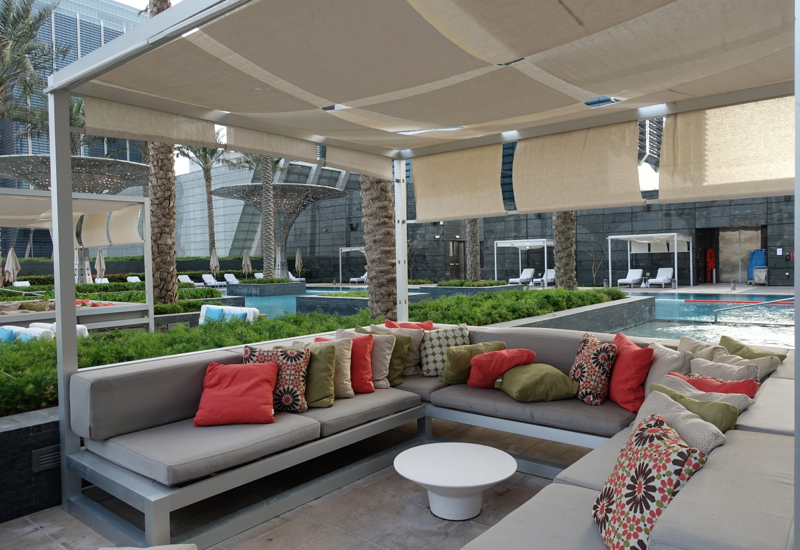 While for sheer convenience to Abu Dhabi Airport it's hard to beat the Yas Viceroy, Rosewood Abu Dhabi offers more upscale, spacious rooms, many with sea views, and particularly nice and spacious bathrooms even in its entry level Deluxe Rooms. 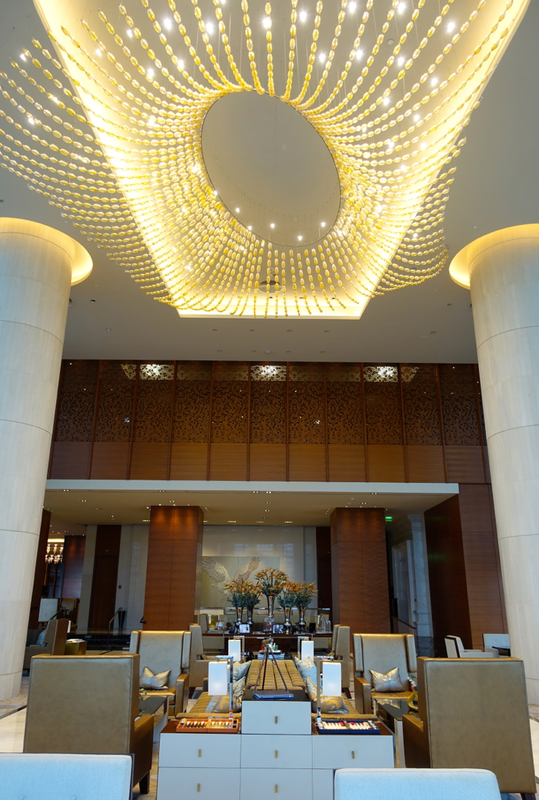 While we didn't get to try any of the several restaurants on this trip, the soaring ceilings and views of the Majlis Lobby Lounge seemed like a great setting for afternoon tea. 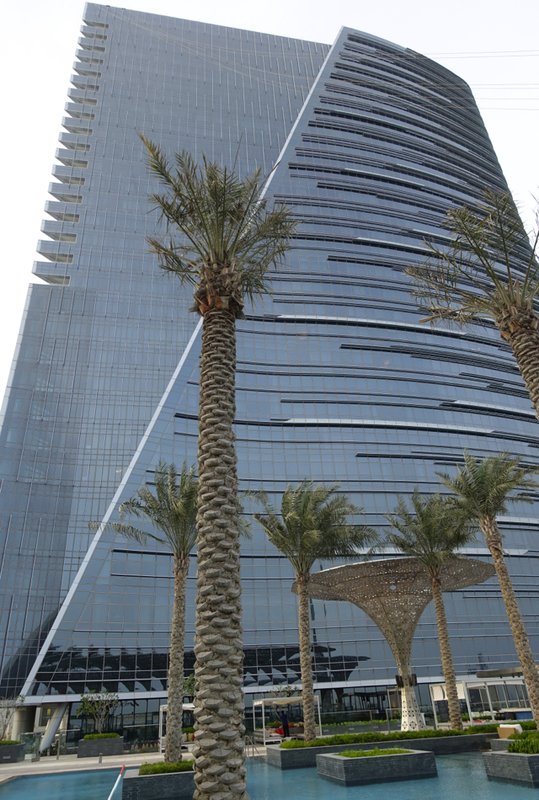 I was also impressed to learn that although this is what I'd still consider an urban hotel, it offers the complimentary Rose Buds Children's Center, with guided arts, crafts, storytelling and other kids' activities. 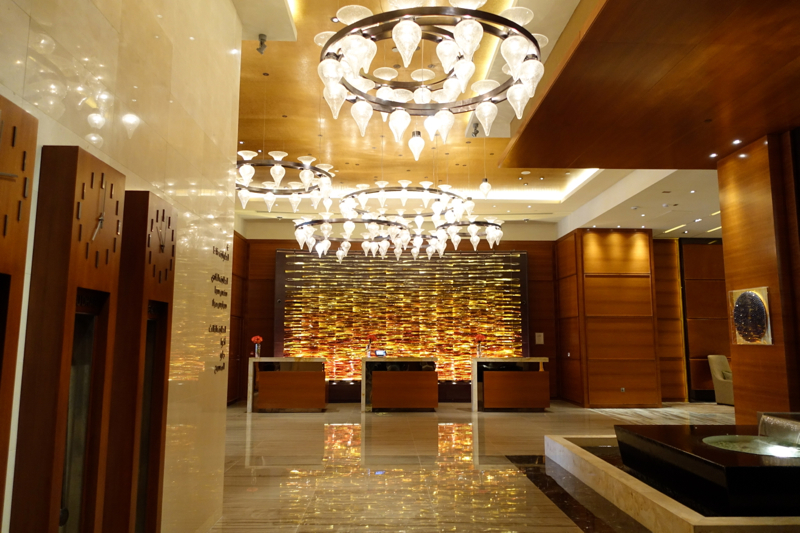 If you've stayed at the Rosewood Abu Dhabi, what was your experience? 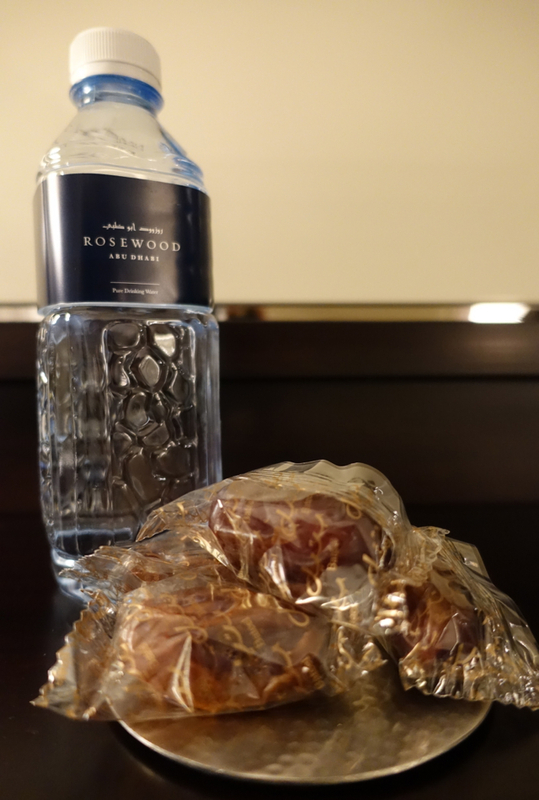 Disclosure: I paid for our stay at the Rosewood Abu Dhabi.